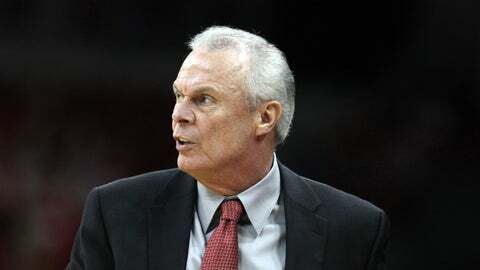 The Badgers are 190-18 at the Kohl Center under head coach Bo Ryan. Wisconsin basketball coach Bo Ryan spoke with the media Monday morning on the Big Ten’s weekly coaches teleconference ahead of the Badgers’ game against Illinois. Ryan discussed the play of freshman forward Nigel Hayes, home-court advantage at the Kohl Center, where the Badgers are 190-18 under Ryan (.913 winning percentage) and the challenges of playing Illinois. The two teams will meet at 8 p.m. Wednesday. Q: What have you seen in the continued development of Nigel Hayes? A: When you’re bright, you’re perceptive, you’re strong, he has a lot of things going for him. And he’s using his talents and trying to maximize his strengths. He’s worked hard at some weaknesses. You always have to enjoy coaching young people like that. 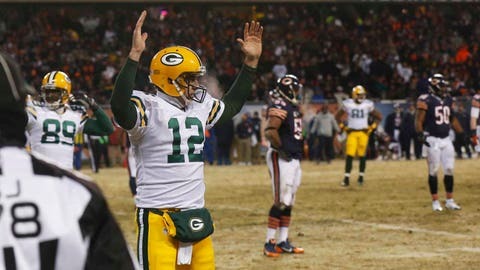 He’s really been a pleasant surprise for our staff, for his teammates, And his contributions have been well noted. Q: People talk about how tough it is to play in the Kohl Center. Is there anything more to it other than having good basketball teams over the years? A: I think when you really look at it, the larger buildings, with ours being one of them, 17,000-plus. I think if you look at teams that are the top home-court winning percentages. A place like Duke, how small it is. Kansas is not as large. Gonzaga. I think you have to say there’s got to be more than just the building. I think it’s the energy of the fans, the support that they give. And players sense that. I think that helps them to give maybe a little extra. I would like to think that it’s the way the players have played together at home that’s had the most to do with that type of record. But you also know the outside forces of energy in the building and fan support and those types of things, you can’t get accomplished what our guys have done without that. And there’s a lot of tough places in the Big Ten to play. Matter of fact, all of them. But I do appreciate what our fans give us. And I know the players do. Q: How would you characterize a Michigan State-Ohio State game? And is it one you’ll watch on Tuesday night? A: Yeah, I try to catch as many as I can. We are going to be practicing late on Tuesday, so I know I’ll catch some of it. Sometimes when you separate the record and just look at the intensity of teams playing, there’s so many matchups in the Big Ten where good, hard-nosed, tough play to me is so much fun to watch. Each possession is valuable. Each trip up and down the court there’s a battle going on. Ohio State-Michigan State, that’s obviously one that firs into that category. And that’s what we love about our league. That’s why players come to play in the Big Ten, because of that high level of competition. Q: Have you had a chance to watch Illinois, and what have you seen on film? A: I know you have heard this many times. I don’t do scouting reports on the phone. But I think it’s obvious: No. 1, they’re playing well together. They’ve found another scorer. (Rayvonte) Rice is giving them a lot. There’s a lot of talent on that team and coach (John) Groce has them playing. Has them working together and doing some things where we know what we’re in store for. Whether or not we can answer all their challenges will remain to be seen. I think they are one of the better teams in the league. I think at this stage of the game, they’re playing extremely well together. That’s the best I can give you right now. There’s a lot more film I need to look at here before Wednesday night. They’re playing well together. They’re doing a lot of good things on both ends. Q: Are you surprised Illinois is playing well given that the team is so young? A: Is Rice young? He’s played. (Joseph) Bertrand and (Nnanna) Egwu. I think they’ve got a nice blend. I think they’ve got plenty of experience. More than some teams. So with that combination and what the younger players are giving, that’s kind of something that I know coaching staffs are always looking for to get that blend. I think the veterans have done a good job working with them. I think our veterans have done a good job working with our younger players. I really haven’t looked at Illinois as being young totally. But they do have an injection of maybe what you’d call inexperience in the Big Ten. But I don’t think it’s a surprise because of the talent level.